Give reference design to vrcover.com! Definitely do that, easy to do as well lol. I propose these inclusions and prices for the preorder and consumer models in USD, let me know what you guys think and if you don’t agree, why they should be changed. Full package combo prices (including eye tracking module, Leap motion hand tracking module, headset fans, prescription frame and deluxe audio strap) . These prices take into account the fact the 5k backers got a free 5k+ upgrade, the 8k was $100 more and the 8k backers got a $100 voucher, whilst also being very competitive and affordable to maximise the amount of people who can afford it. I would like to suggest that the 8K should provide two options for the input signal upscaler. 2560x1440p input per eye as it is now, but ANOTHER OPTION 1920x1080p per eye should be offered in pi-tool, that way the upscaler would be working with an EVEN SCALE FACTOR of 2x horizontal and 2x vertical. This could also allow the GTX 1070 to work nicely and look clear with least SDE. I backed the 8K for least SDE and won’t mind 1920x1080 rendering per eye UPSCALED to 4K per eye especially since I want to use it primarily for watching 3D Blu-ray movies. Remember this is suggested as ANOTHER OPTION in addition to keeping the current 2560x1440p per eye input signal and could make GTX 1070 also viable the major advantage still being the least SDE. Can this be done for the 8K? I suggest you add icm color profil support to pitool so colorimeter owners can calibrate their pimax. All those are helpful to make a pre-calibration or for calibration by eye for those not able to create a color profile with a colorimeter. Additionnaly I would like to know if it is true the 8K has 3000K backlight leds and the 5K+ 5000K leds. If this is true then could you give us the choice to have cold or warm backlight leds for both 8K and 5K+ ? I myself would prefer a 5K+ with 3000K leds (warm) instead of 5000K (colder = more blu-ish = more aggressive to the eye = more eyestrain). Of course it may depend on if a blue filter coating is added to the lenses/panels, but as far as I know those blue filters are just meant to filter a very specific range of blue, meaning such a filter alone won’t make cold backlight become warm (= even with such a blue filtering it would still make sense to be able to chose between cold or warm backlight leds). If only I could shove my Spyder Pro in there But yes, ^^ all that. Exactly what I was thinking. And you should be able to if you remove the face interface. Demos how to better implement their software with Pimax HMDs (code or SDK examples). Suggest to build their software with the best engine version that can benefit Pimaxes HMDs (if applicable, like UE4 based software but not relevant to Unity engines). This should decrease the amount of “Parallel Projection Compatibility” list and thus “free” boost to the Pimax users. Try to push PIMAX brand. Work with studios that will add “compatible with PIMAX” logo in their software (if they used Pimax optimization guidelines). This will need initiative and some investment from Pimax team. What's the status on the less obstructive controller design without the large tracking ring Support comment? I’m sure I’m not the only one who would rather purchase Knuckles based on the less obstructive design. The first prototype for your controllers, whilst it didn’t look as nice as current design, it would be much more useable without bumping them into each other when trying to use a virtual bow, for example. 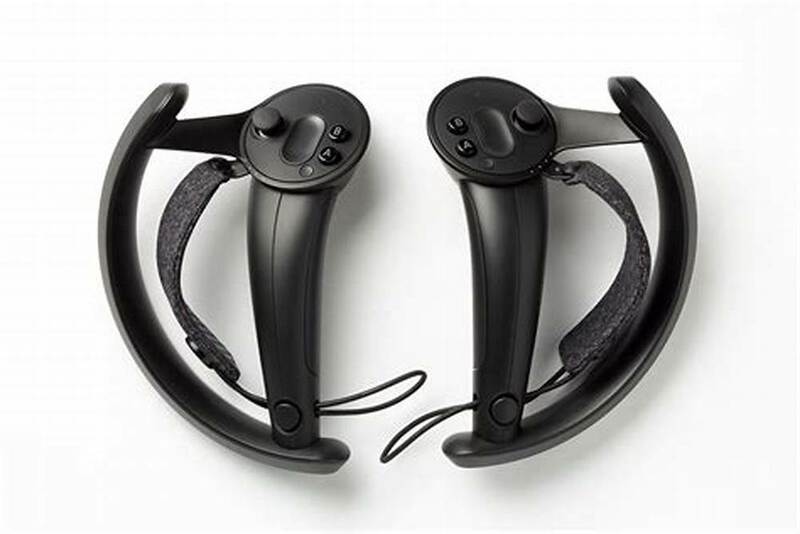 The ring around the controllers needs to either be less obstructive by coming closer to the wrist to not risk bumping into the other controller, or the older design should be offered as well. Alternatively, please offer the original design but modified and improved to customers, similar to original prototype, thank you. 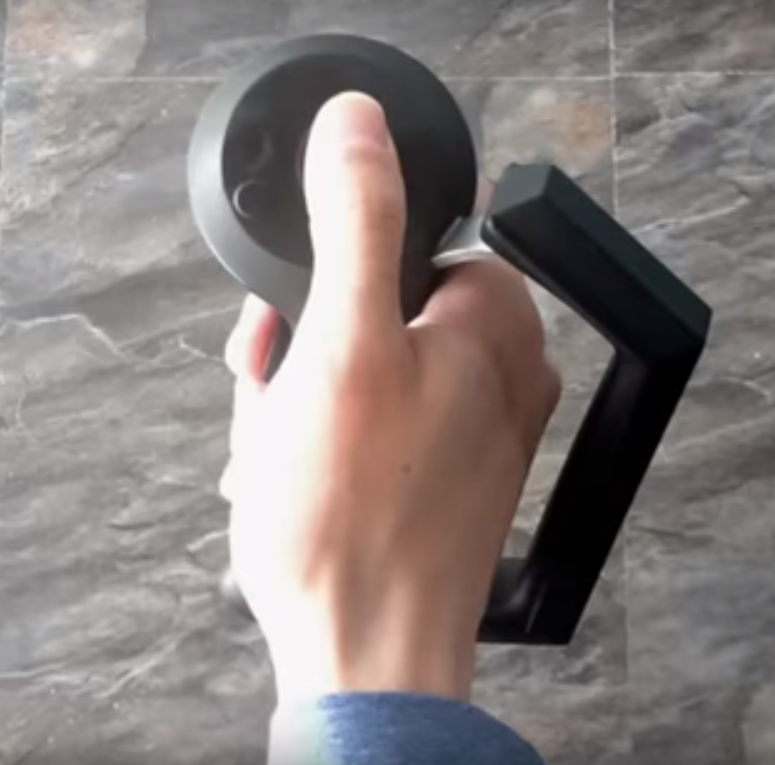 Status update on the prototype controller design without the wrist tracking ring? Received, thank you for your suggestion, we will update our design in future. We have contacted with vrcover, and they will make some samples for us for review. Keep unreal plugin up to date. I have literally stopped developing for pimax, which is a shame. Can you give us an update on the VR covers that pimax are reviewing… Are there any samples that may make it to production soon? Offer an option to backers to swap their v2 lighthouses in the future for v1 lighthouses now. Approach Valve for a bulk buy of v1 lighthouses. For those of us without a Vive we don’t have a functional VR headset until we have 6 degree of freedom movement, so not until we have lighthouses. Can you poll backers for how many would swap to v1 lighthouses if they could have them now and then approach Valve to buy that many v1 lighthouses? So, currently there is one or two major issues with the headset that really prevent me from getting into the experience. Right now, there is a pattern of unlit red sub-pixels on the screen, this makes white objects or (much more noticeably) red objects have a pattern of black dots that appears on the screen and doesn’t move, which makes the SDE jump out at you very much. An example of this is Sweviver’s original claim of orange objects having a pixel pattern appear on them. I remember some post about this issue saying that it’s for contrast purposes, but please please consider removing or adding an option to remove this, as this is the only thing that ruins my experience when I see the pixel pattern move with my head, when otherwise I very easily don’t see the SDE. Sometimes, when starting steamVR (even through piTool), it will make steam stop responding, which in turn makes steamVR not respond. It appears to be random as far as I can tell, but it’s kindof an annoyance when you put on the headset expecting it to work, and then your steam overlay doesn’t work. It will show the steam environment (I don’t use home), but the steam overlay won’t pop up when you press the steam button. Currently there is an issue with steam higher than 1.1.3 making the steam overlay/compositor be very blurry, or more blurry than normal even when set at 2.0 sharpness (this is separate from the regular steam SS settings). Sweviver has noted this in a recent post, but it appears it isn’t an issue for everyone, so I am okay leaving this issue alone until we work on more data or solutions. Other than this, you have been doing an amazing job and I’m glad to see the latest update doing well, and making it so the headset turns off when set down for a little. I hope the red sub-pixel issue is solvable, and isn’t a screen hardware issue. Thank you very much for your time, and have a nice week! Sounds like that may be more of an issue with Steam than with Pimax. SteamVR is not perfect by any stretch of the imagination. True, but if they know that steam can crash when loading with the pimax, and it never crashed for me when I used the vive, then it’s an issue that is somewhat caused by the pimax. The last issue is self-admittedly unknown for now, but the main issue is the red sub-pixel problem, because that makes the normally barely noticed SDE to stand out incredibly plainly. Suggestion: Better name for 8K X: 8K Epic, or 8K Pro.